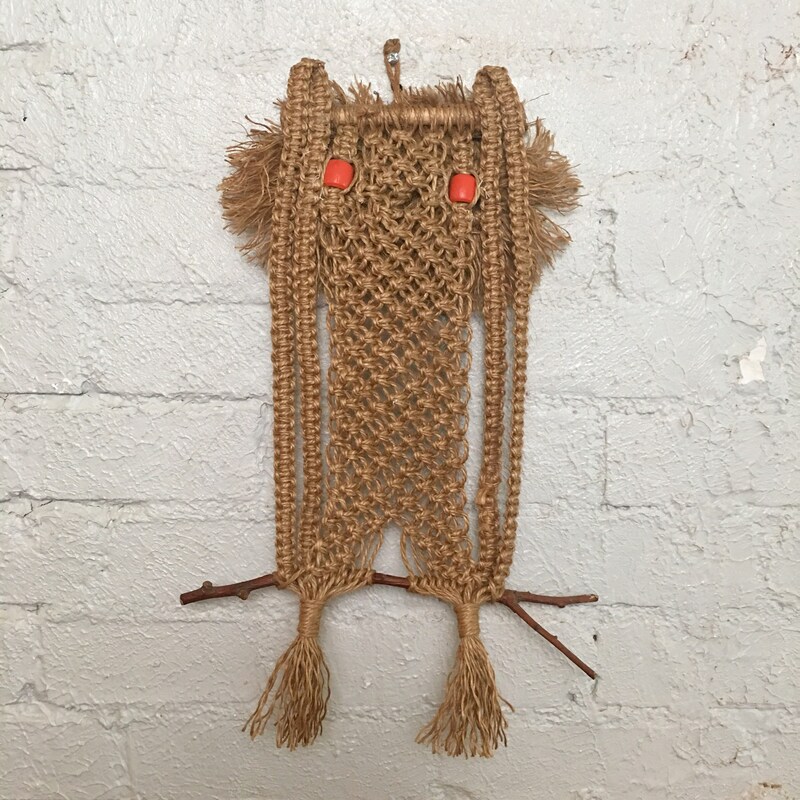 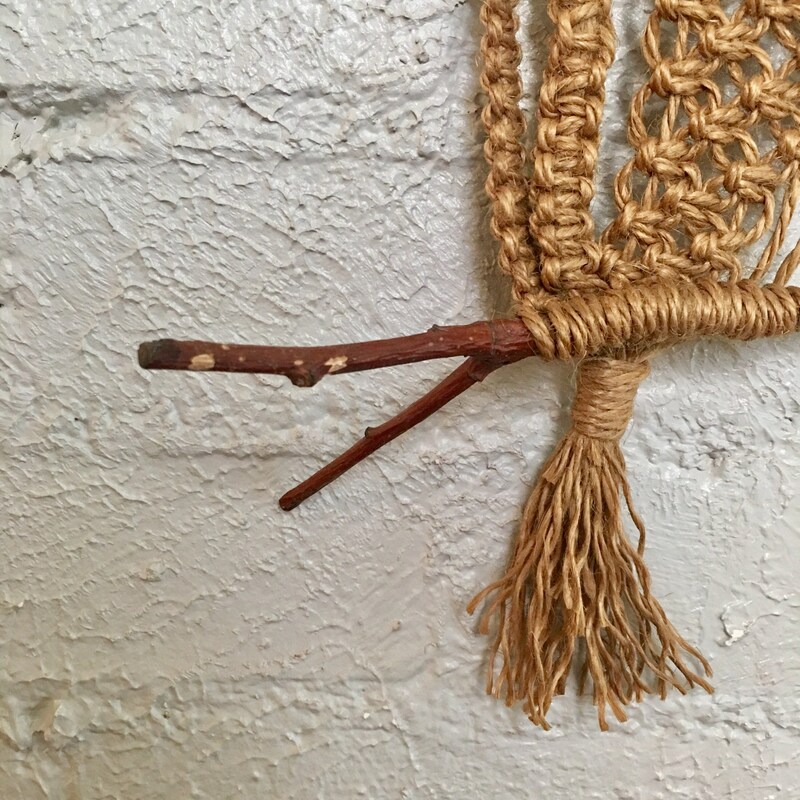 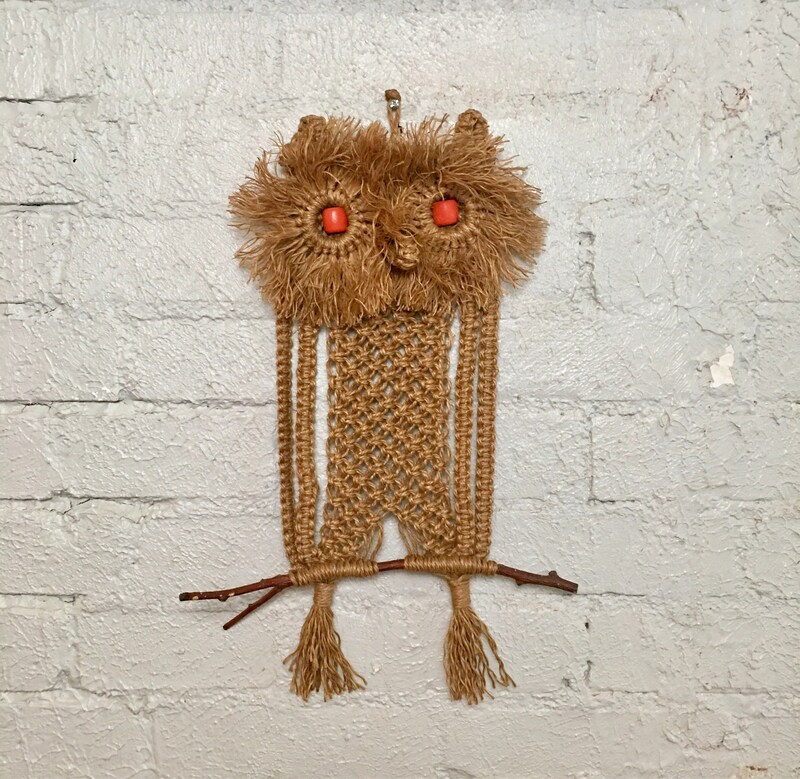 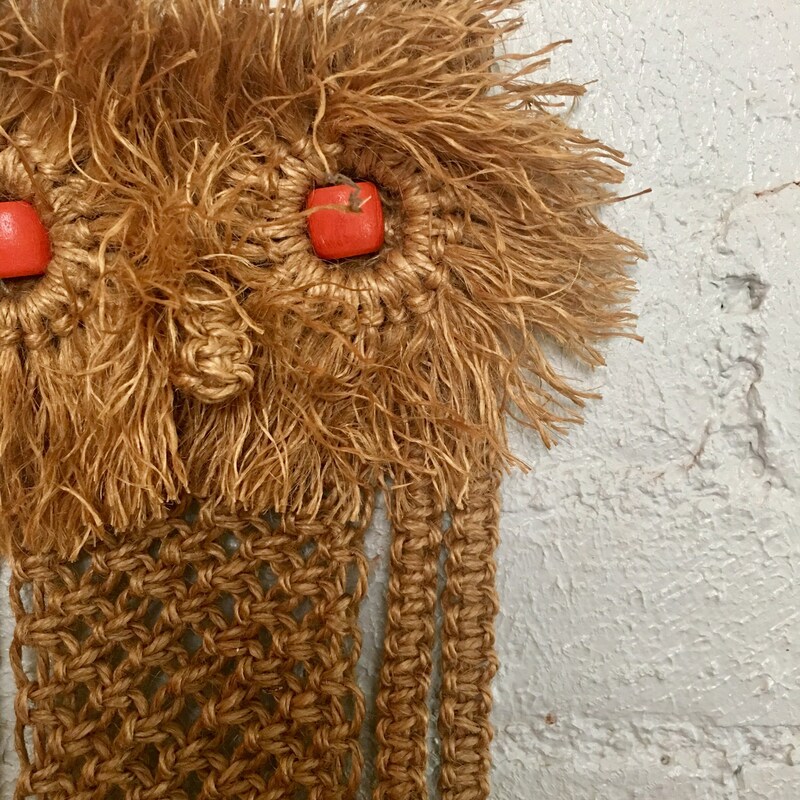 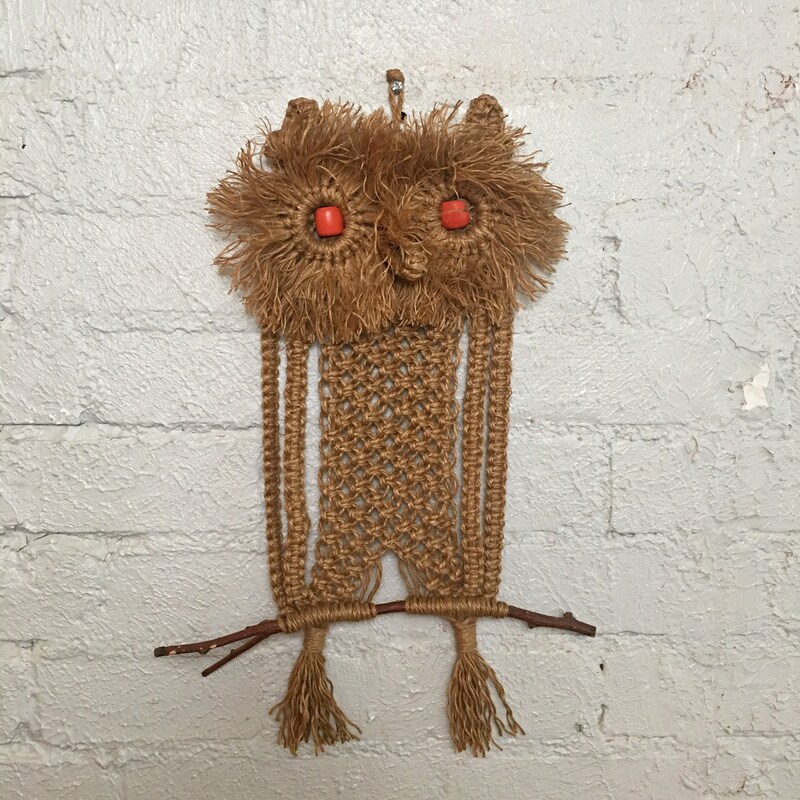 Vintage macrame owl wall hanging - light brown body with orange wooden bead eyes, perched on a real branch/twig. 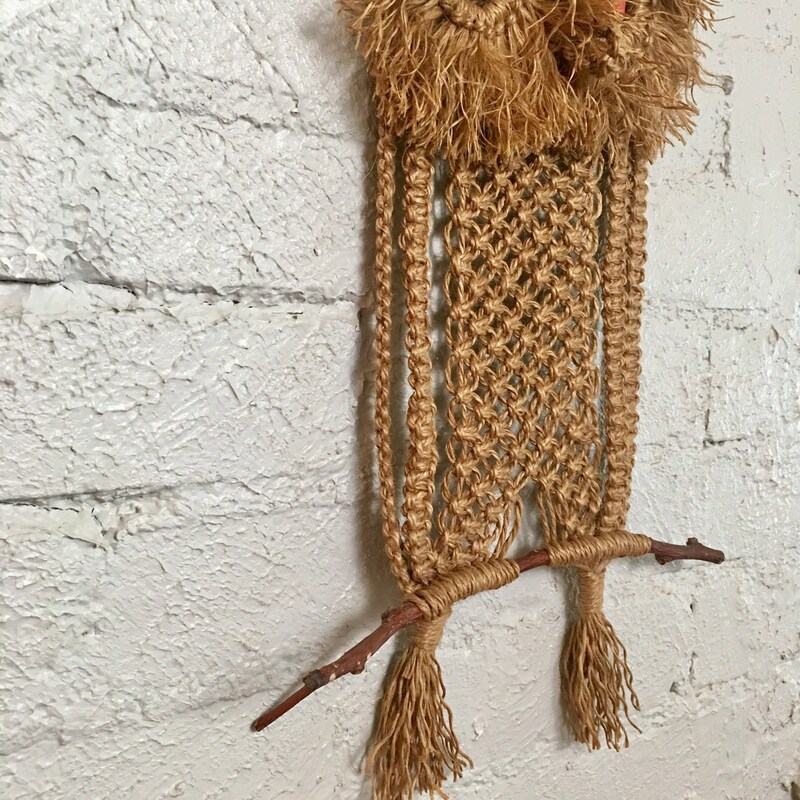 A must have addition to your boho home! 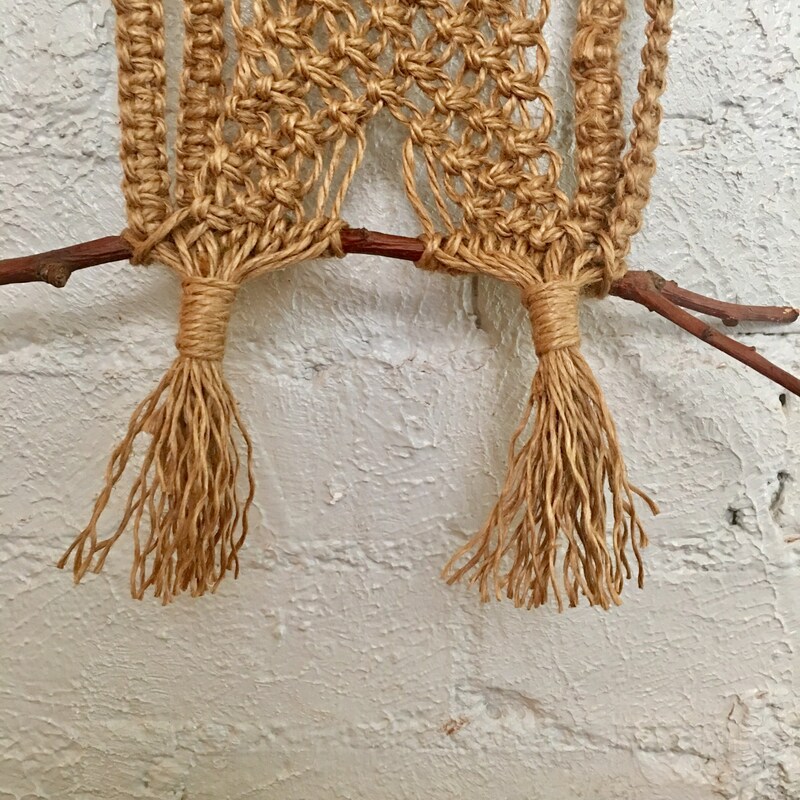 Hanging loop included in the design.